While walking in a camping area, Harman and I saw a terrific sunset beginning. I recorded the details of the scene in pencil in my sketch book. 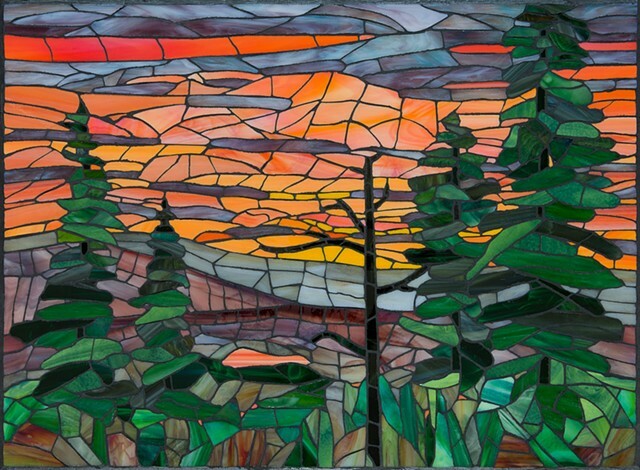 Later, when I found a sheet of salmon-coloured stained glass, I knew I had the material to turn my sketch into a mosaic. Not for sale.